Our bedrooms are the last thing we see at night and the first thing we wake up to each morning — not to mention we spend about a third of our lives sleeping in them. So it makes sense that we’d want to turn our bedroom into a sanctuary — at least as much of a sanctuary as our budgets allow. Transform your bedroom into a tranquil haven by following these three top tips that will help you relax and unwind after a busy day. Firstly confront the chaos. Cluttered, messy bedrooms don’t allow you to shut off and unwind. In order to feel relaxed you need a clean, organied room. Take the time to separate eveything into three piles: keep, storage, and donate. If you follow the golden rule of getting rid of anything you haven’t used for the past six months – seasonal items aside – you’ll be well on the way to recovering your precious space. 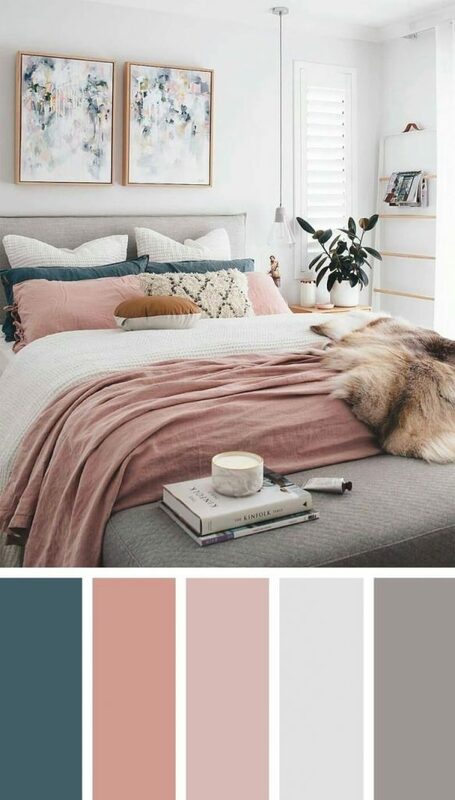 Ensure the colours in your bedroom complement each other by choosing colours on the same tone spectrum. Using tints of light blue and gentle green are popular as they evoke a soothing setting and make a room feel more spacious and breathable. Alternatively, consider subtle tones such as cashmere which beautifully compliment a room where soft grey shades are used. When colours and textures blend together, it creates fluidity in the room which evokes a sense of calm. Your choice of furniture is also an important factor when creating a calming enviroment. Instead of filling your room with bulky furniture, invest in some key statement pieces and make them work hard. Fitted wardrobes are an ideal solution as you can hide your hoards of clutter behind light reflecting doors, leaving you with the space to let your bedroom – and your mind – breathe. Where are the paintings from?? Love!